Axis theatre is an entertaining, smart and inspirational company focused on engaging young and young-at-heart audiences. In the age of “looking down,” Axis draws young eyes up to engage them in interactive experiences that educate, inspire and transform. Audiences experience smart, entertaining interpretations of traditional and cutting edge physical theatre. Axis incorporates combinations of red-nose clown, mime, movement, mask work, puppetry and improvisation to expand the meaning and impact of the stories presented. It is deceptively simple, completely fresh and memorable. Six indigenous storytellers spin the tale of Th’owxiya: the Hungry Feast Dish, a Kwantlen First Nations legend. The mouth of Th'owxiya holds the most wonderful foods from around the world. But if you steal from her, you will pay a terrible price. Mr. Hatch leads a colourless life, until one day, he receives an anonymous note saying "somebody loves you". Join Mr. Hatch as he searches for his secret admirer and enjoys the biggest surprise of his life! Based on the classic novel by Daniel Defoe, this tale of survival and self-discovery is retold with an imaginative physical theatre flair that embraces friendship, empathy, self-esteem, communication and cultural differences. Nine-year-old Sandy doesn't know her strange, distant grandpa, and now she’s forced to spend a whole summer with him! When Sandy uncovers the secret of her family's heritage, her and Grandpa embark on an epic journey to reclaim her magical right. The auction is now over thank you to all that participated. Thank you to all that came out to our general auditions, it was great to see so many talented actors. 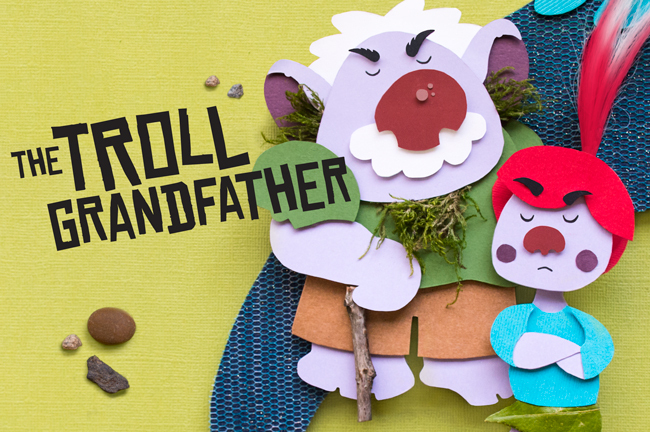 Thank you for The Troll Grandfather's successful tour! The best cultural performance this school has seen! If you would like to make an individual donation please follow the link to our Canada Helps page. Your generous support will help us bring the gift of live performance to thousands of children, families and adults worldwide.